Main Features:• Intelligent drop avoidance induction IR sensors at the bottom detect the high gap, avoid the dropping, it will avoid the obstacles and change direction automatically by inductor.• Anti-collision syst..
IR sensors at the bottom detect the high gap, avoid the dropping, it will avoid the obstacles and change direction automatically by inductor. It can better protect the furniture. It can help you save more energy and time. 600ml dust storage tank, detachable water holes, 120 - 300 minutes long time to use per time. You can set up time to clean your home, more convenient to use. With the bright LCD screen display, it show the working status and clear to see even in the dark night. You can control the robotic cleaner by the remote controller ( The remote controller powered by 1 x 2025 button battery which is included ). 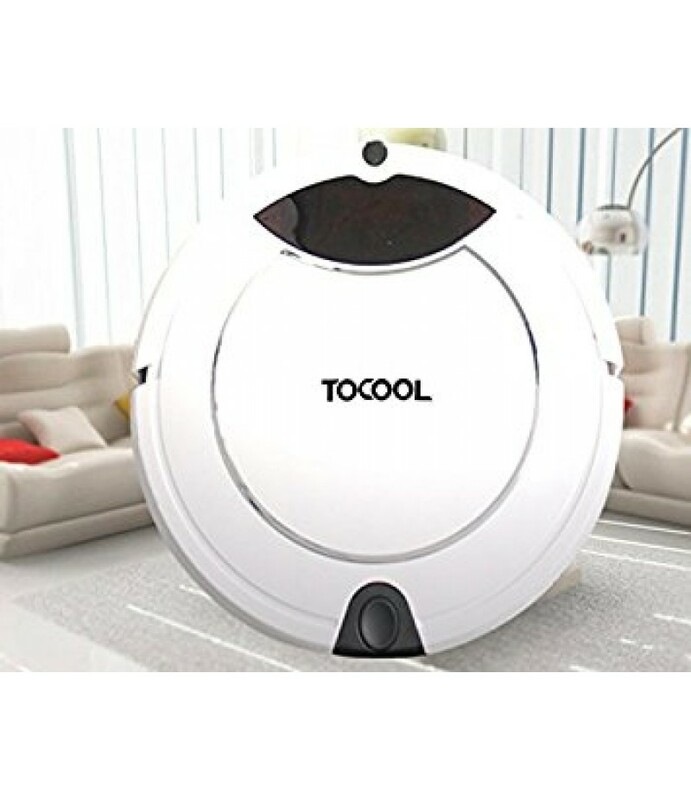 Automatic cleaning, cleans according to the room layout, focus on cleaning concentrates on cleaning the room hardest hit, edge cleaning to places at wall corner, reservation cleaning, regular daily cleaning of the room and mini-room cleaning modes. No matter it is confetti debris, cigarette butts and ash, or beans and seeds shell, it is easy for you to clean them up. Suitable for floor, cement, ceramic tile, wooden floor, undercoat carpet, etc.. It can climb 15 degrees slope height, never impede by slight slope in your home. When the power is about to run out, the sweeper can back to recharge with its sharp infrared induction. Easy to help you solve the problem of noise problem. Enable this cleaner working in the narrow space, it is possible to clean the bottom of furniture and corner. Rotate speed (r / min): 4000. • Remote control distance: About 7 meters. • The remote controller is powered by 1 x 2025 button battery ( included ). • The biggest bear weight is no more than 15 kg.